This past week, on 11 November, marked the 100th anniversary of Armistice Day, the official end of WWI. 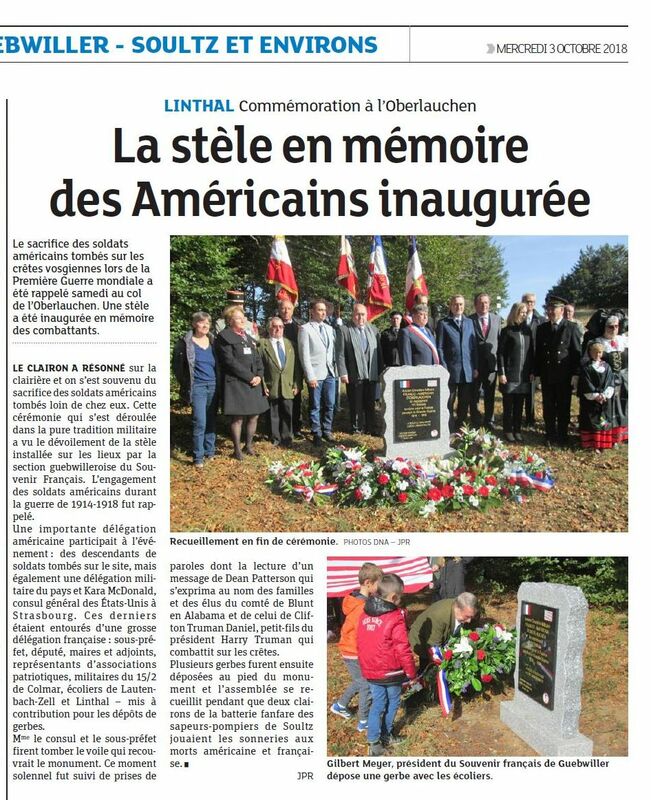 A Centennial Commemoration was held at that temporary military cemetery at Oberlauchen on 29-30 September of this year to honor the American soldiers killed in action near their town and to restore a monument to those soldiers that had been destroyed by the Nazis during WWII. Over a thousand people took part in this year’s memorial events that included the inauguration of a monument, a celebration of peace, an exhibition, a concert, and ceremonies with the schools. 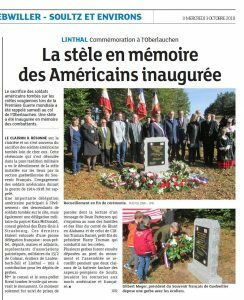 I want to thank all those that planned and participated in this Centennial Commemoration, and a special thanks to Hubert Martin, of Linthal, France, for honoring our two local servicemen and the other American soldiers killed near his home town. This past week Martin sent me 2 newspaper clippings about the event. You can see the nice monument they dedicated. I used Google Translate to translate the news articles since I do not know any French. Although it is a literal translation, you still get a very good idea of what took place at the memorial event. Linthal, France, 4 Oct 2018. Photo caption: The president of the Guebwilleroise Section of the French Souvenir, Gilbert Meyer, and the students of Haut-Florival laid a wreath in memory of American fighters who had fallen on the Vosges mountains. A stele recalling the sacrifice of American soldiers on the Vosgean peaks in 1918 was inaugurated last weekend at the Oberlauchen pass. It was a small injustice that was repaired: in June 1940, during the invasion of Florival by the troops of Nazi Germany, the various memorial sites erected after the First World War had systematically been destroyed. Most of the monuments had subsequently been replaced. Only the ephemeral Franco-American cemetery in Oberlauchen (near the Breitfirst, about 1200 m away) was still deprived of a visible place of remembrance. Various memory associations have seized the file, commemorations of the centenary of the Great War being an ideal pretext to repair this oversight. At the origin of this collective project, the Guebwilleroise section of the French Souvenir, the memorandum association Amitie Florival – Magnoac – Tregor and Alsace – United States-Haut-Rhin. 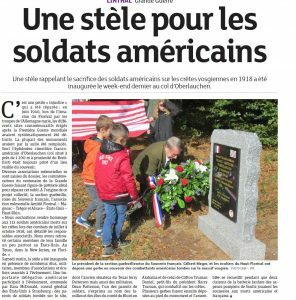 We wanted to pay tribute to the 113 American soldiers who died on the peaks during the fighting from July to October 1918, detailed the associative leaders. We found some of their family members across the United States. Texas, New Jersey, Florida. Saturday morning, the stele was inaugurated in the presence of many elected, military, members of associations and schoolchildren associated with the event. 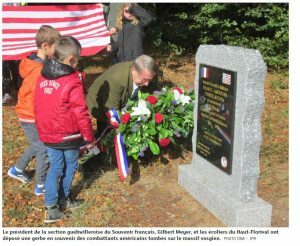 A major American delegation was attending the event, led by Kara McDonald, US Consul General in Strasbourg: relatives of fallen soldiers on the site, including former Texas senator Jerry Patterson but also the military. Dean Patterson, one of the parents of soldiers, spoke on behalf of the family and elect of Count Blunt in Alabama and Clifton Truman Daniel, grandson of President Harry Truman, who fought on the ridges. Photo caption: Recollection at the end of the ceremony. The sacrifice of the American soldiers who fell on the Vosges crest during the First World War was recalled on Saturday at the Oberlauchen pass. A stele was inaugurated in the same time fighters. The Clarion Resonne on the clearing and remembered the sacrifice of the American soldiers fallen far from home. 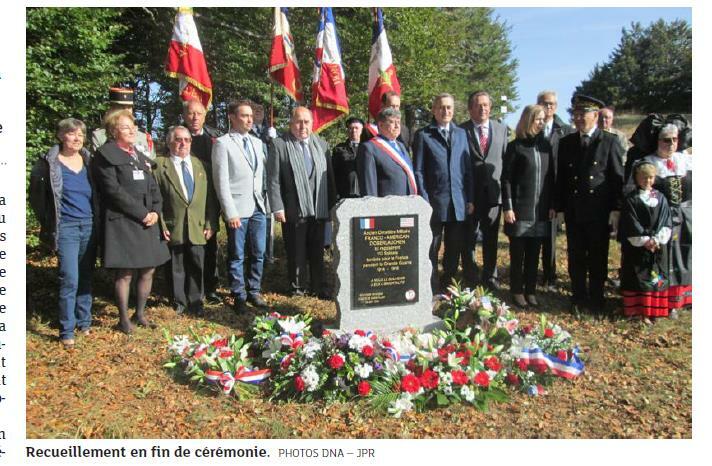 This ceremony which took place in the pure military tradition has unveiled the stele installed on the spot by the Guebwiller section of the French Souvenir. The engagement of the American soldiers during the war of 1914-1918 was recalled. 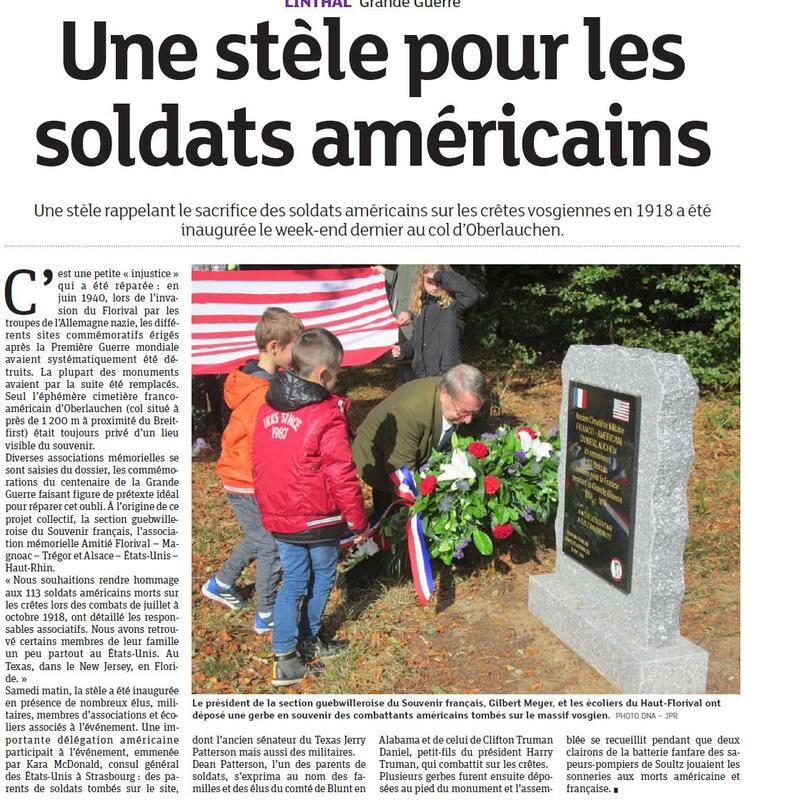 A large American delegation took part in the event: descendants of fallen soldiers on the site, but also a military delegation of the country and Kara McDonald, consul general of the United States in Strasbourg. The latter were surrounded by a large French delegation: sub-prefect, deputy, mayors and deputies, representatives of patriotic associations, soldiers of Colmar 15/2, schoolchildren Lautenbach-Zell and Linthal – put in contribution for the deposits of sheaves. The counsel and the sub-prefect brought down the veil which covered the monument. 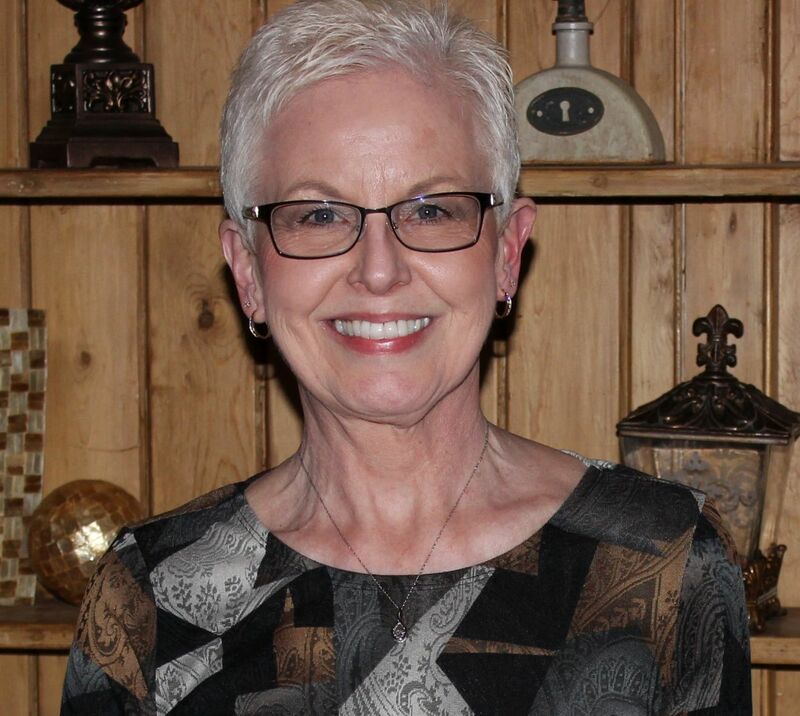 This solemn moment was followed by speeches including the reading of a message from Dean Patterson speaking on behalf of the families and elders of Count Blunt in Alabama and that of Clifton Truman Daniel, grandson of President Harry Truman fighting on the ridges. Several wreaths were placed at the foot of the monument, and the assembly gathered for two clarions from the Soultz firefighters’ drumming drums playing the American and French death ringtones. Thank you Hubert Martin and to all who took part in this memorial event to honor our fallen soldiers. Private August Froning and Venedocia native Private Glenn Homer Nichols were killed in action near the village of Linthal, in the Vosges Mountains of France. Both were members of the Army’s 54th Infantry. Froning was killed on 29 September 1918 and Nichols on 21 September 1918. Both were buried nearby, in the temporary military cemetery of Oberlauchen. Today a tombstone monument to August Froning stands in Saint Sebastian Cemetery, Mercer County. August Froning was born in Mercer County on 30 January 1892, the son of Herman and Catherine (Pickenbrook) Froning. He was a resident of rural Chickasaw before the war.